I cover the back of my paper with a barrier paper to avoid damaging it while printing with my powerful muscles--er, my powerful baren. As you well know, efficiency is an obsession of mine and I struggled to find an "elegant" method to place the barrier paper on the back of the printing paper so that the effort was minimal, the paper didn't blow off between prints, and it was placed same-side-down every time to avoid staining the baren. Here is one trick, I'm sure there are others. 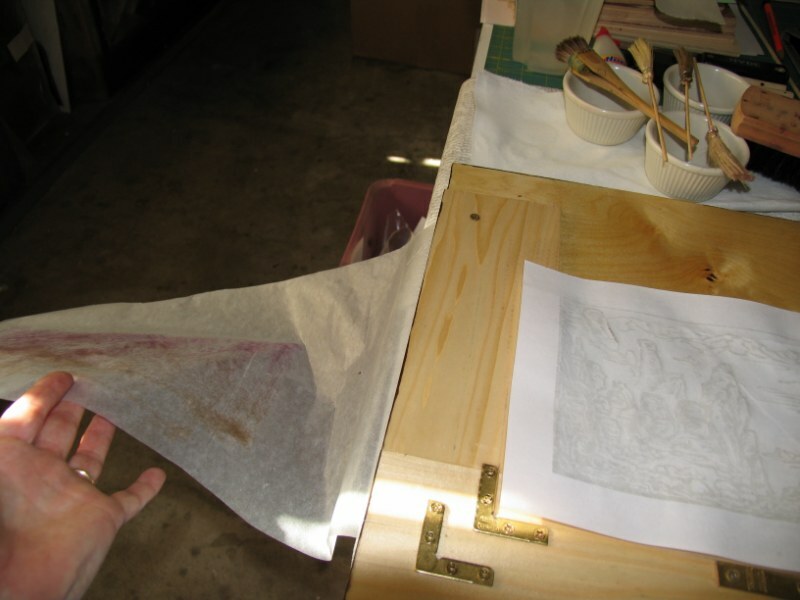 I use glassine, by the way, which I buy by the roll to interleave my finished prints. The barrier glassine paper, pinched under the registration board, ready for its duty. 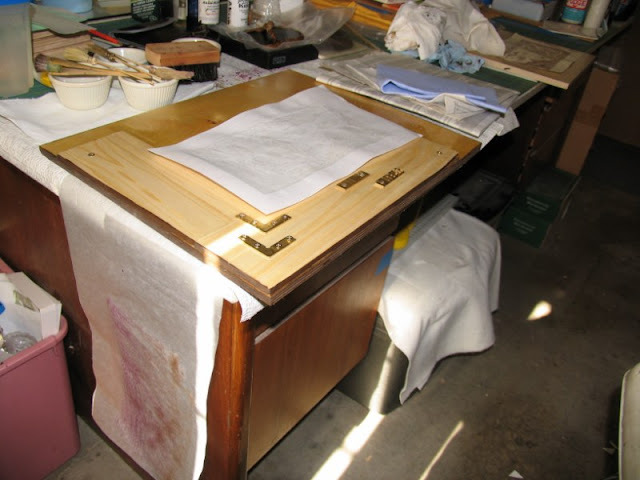 If you do not use a registration board, the sheet can easily be taped to the working surface or even to the back of the block. 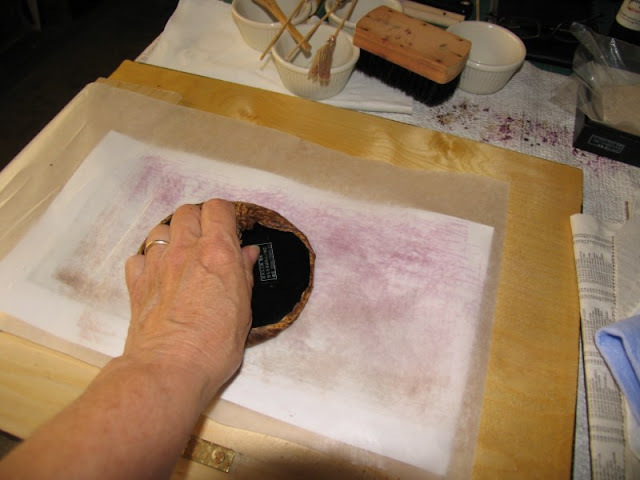 Placing the barrier paper on the printing paper is just a matter of reaching with my left hand (while my right hand is busy reaching for the baren) and laying it down. 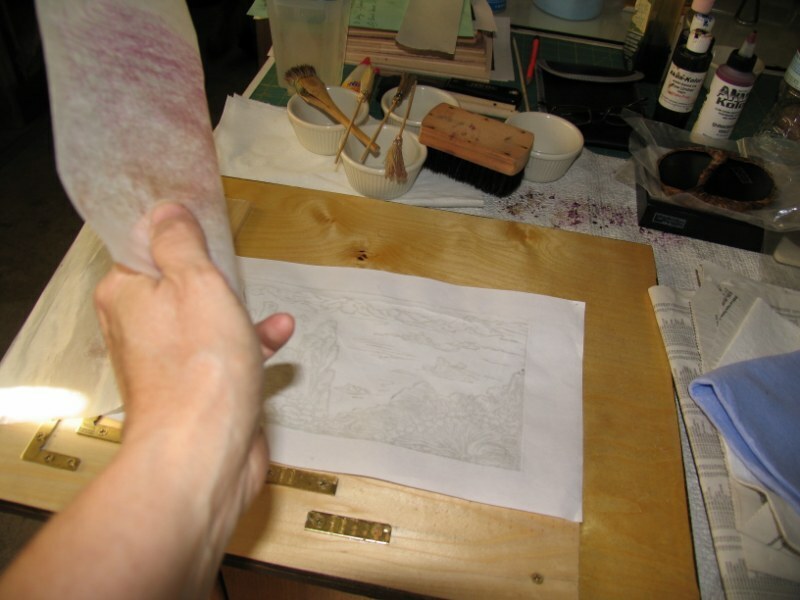 Obviously the barrier paper has to be large enough to allow for the arrangement, much longer and a bit wider than the printing paper. Rub a dub, I don't grab my baren like that when I'm printing "for real". 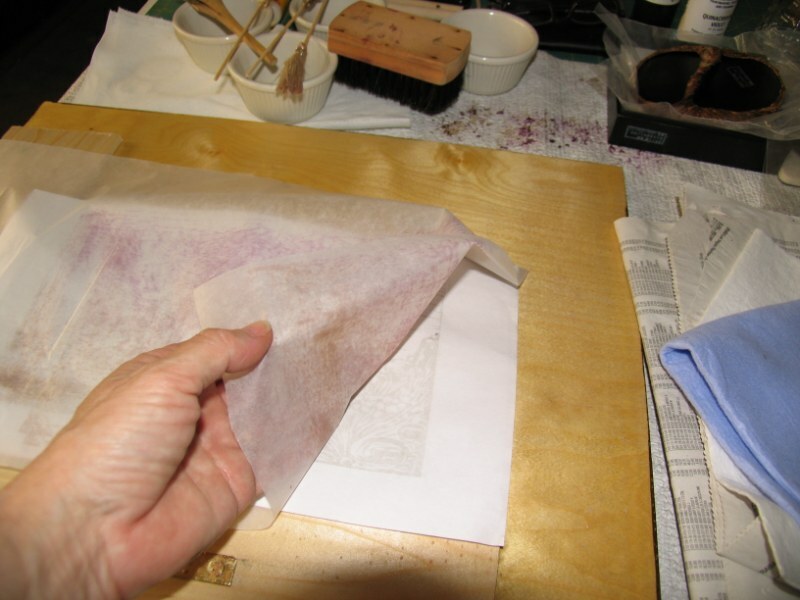 Try to keep the barrier paper from wrinkling because the damp printing paper will pick up the wrinkles and mysterious lines will show up. Voila! I let go and the paper is ready for the next print without taking up valuable "within-reach" space and without blowing off somewhere. Adjusting that floating kento, now that you ask!